Click the cover to see what others are saying about The Godless Delusion . 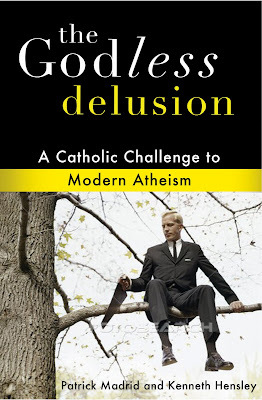 . .
Coming soon to a bookstore near you, my new book on atheism (co-authored with Kenneth Hensley) is called The Godless Delusion: A Catholic Challenge to Modern Atheism and will be released in the next two weeks. Pre-order your signed copy today.